I read this book on the recommendation of friend. It was quite an interesting read in that it challenges you revisit your answer to the following question: Does your life reveal true commitment to God? 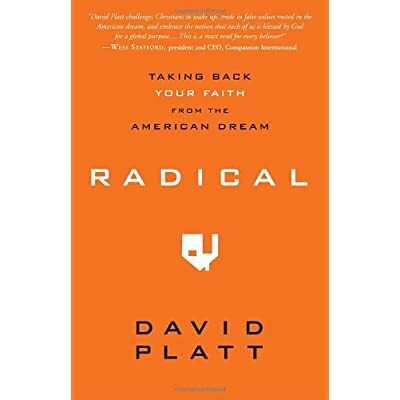 In Radical, David Platt walks through various facets of the average American Christian’s life and dissects them into digestible morsels that are juxtaposed with Biblical scripture. Though one can easily feel guilted into action as you read this book, the book is trying to move you towards living a guilt free radical life–the kind that true obedience and submission requires.